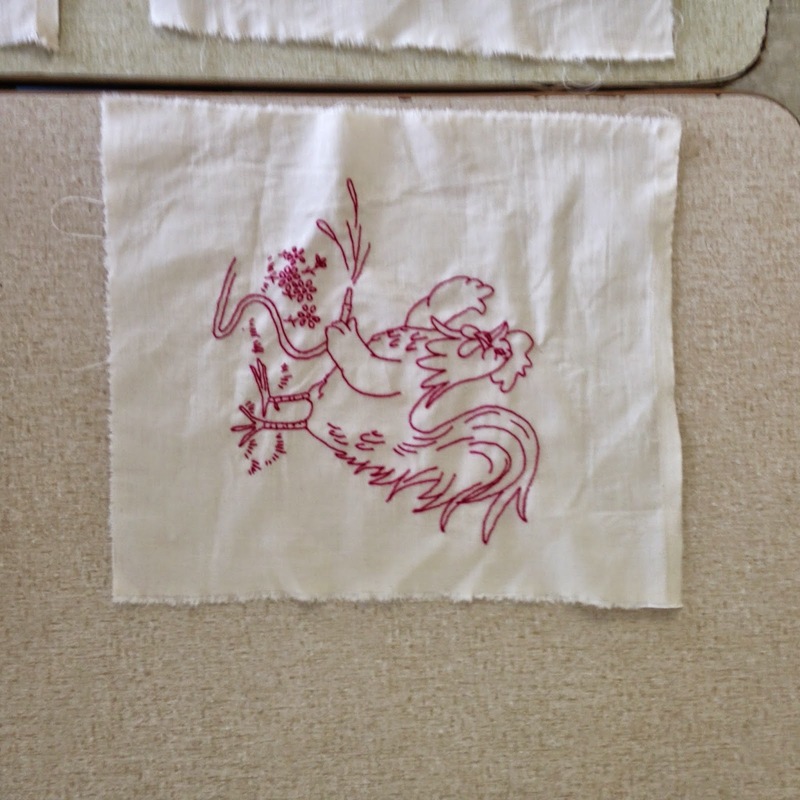 Tuesday was Quilt Guild Day. I haven't been to Quilt Guild in I can't remember when. It was nice to be back. 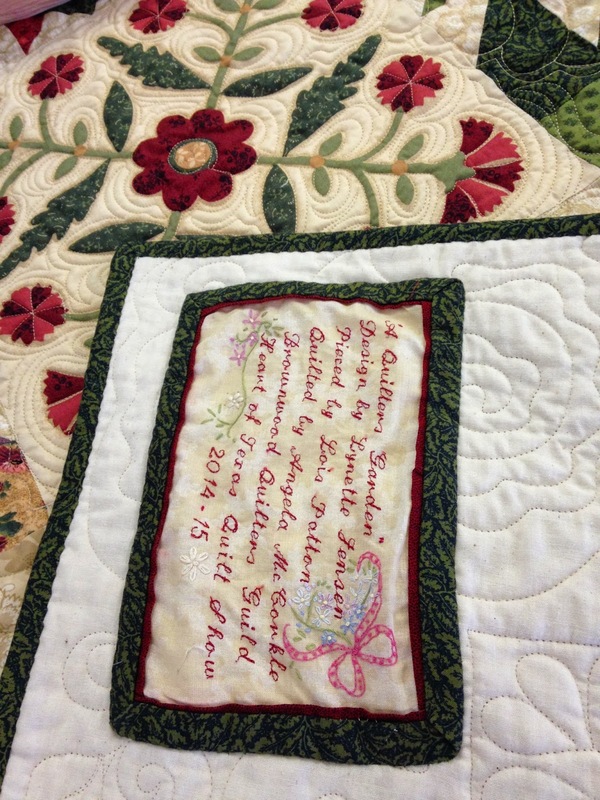 Guild is full of inspiration with all the talented Quilters. 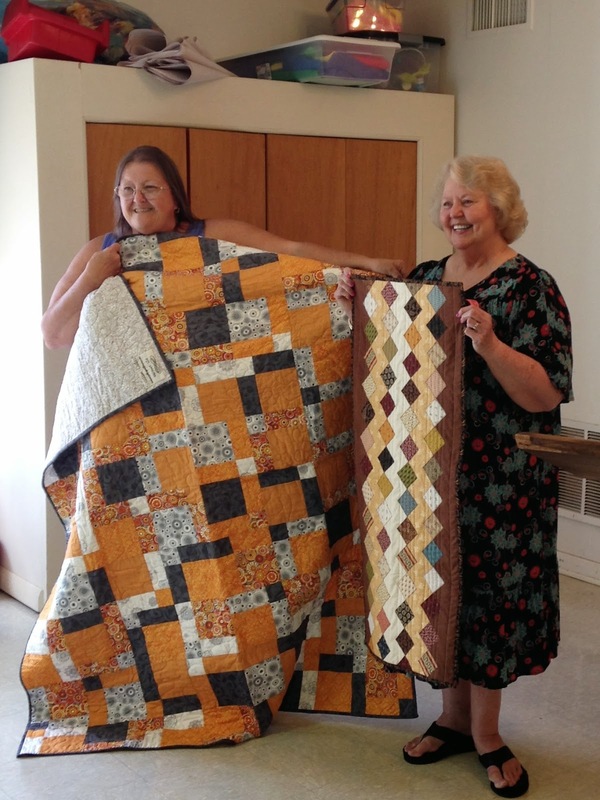 Stella won these blocks in a block exchange and her daughter Elaine set them together and hand quilted it. Sherri has been busy. 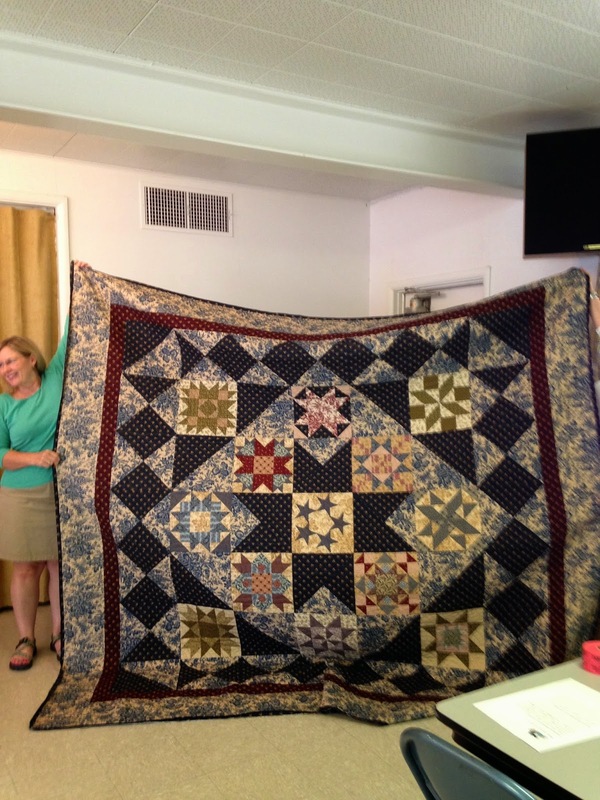 Look how big this General's Wives quilt is! Yay, it's finally finished. And another one finished by Sherri. She said she won a charm pack and then had to purchase 2 more plus some yardage to make this. 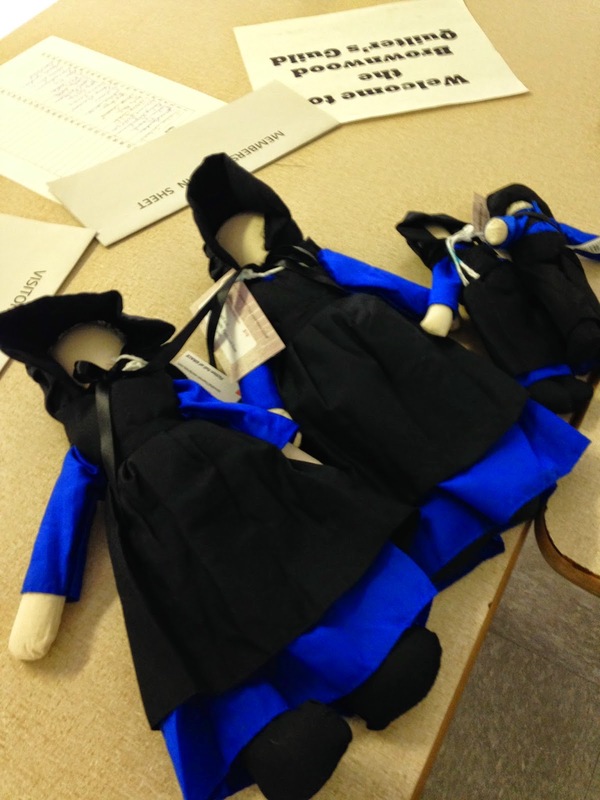 A new activity at Guild is the Penny Project. Not sure that's it's official name or what the Penny has to do with it but for a $1 you can purchase a chance on the featured Penny project each month for a chance to win. I purchased 2 chances for each and NOPE, I didn't win. Millie and Joy for the lucky winners this month. I did donate a bag I made for next month though. 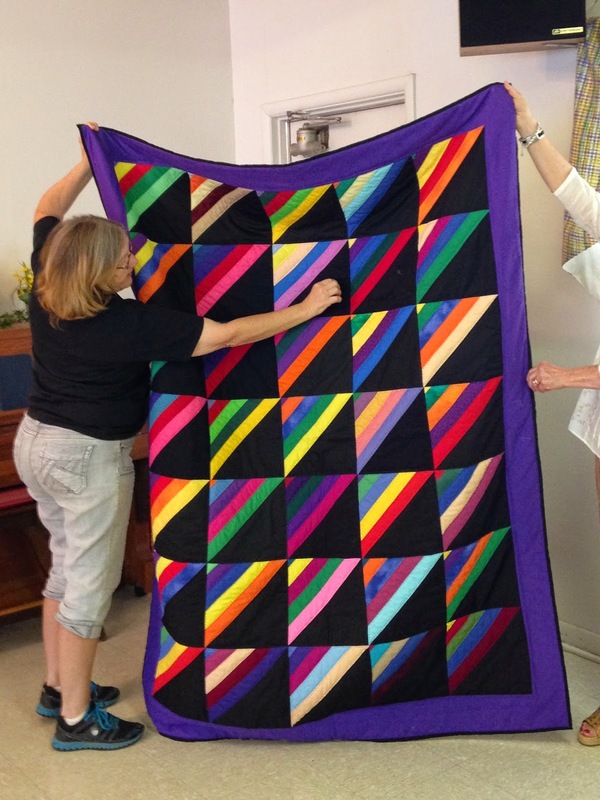 And this is the "Donation Quilt" for 2015. 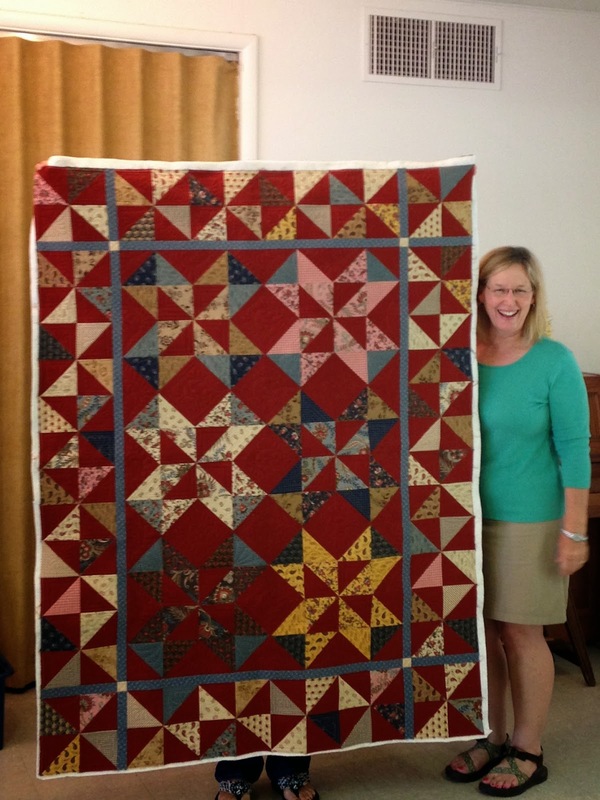 It will be given away at the 2015 Heart of Texas Quilt Show. You can get your chance to win it too. And the label on the back. 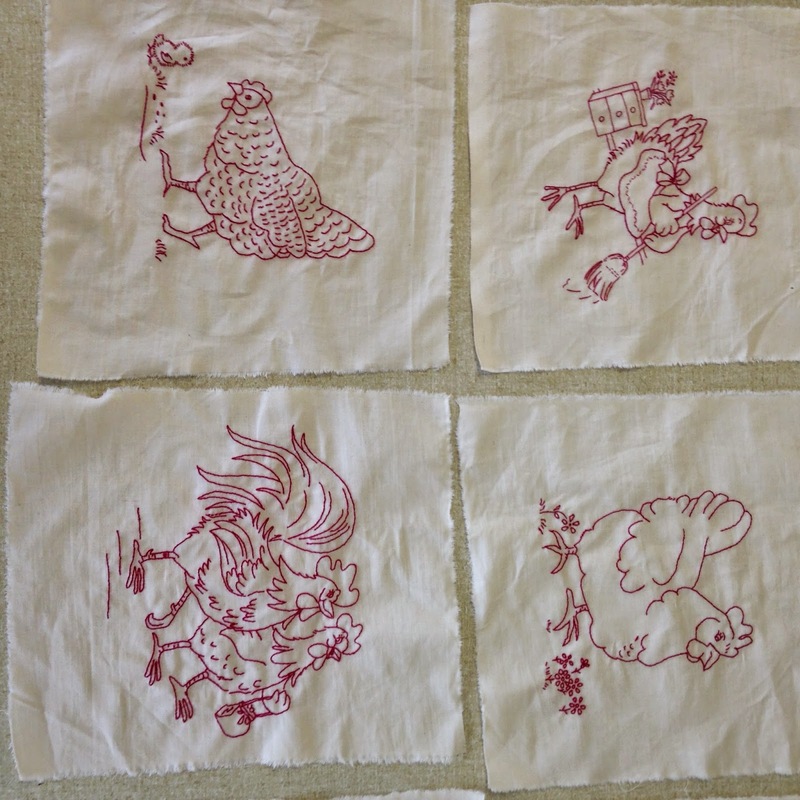 Millie embroidered all these chicken blocks. 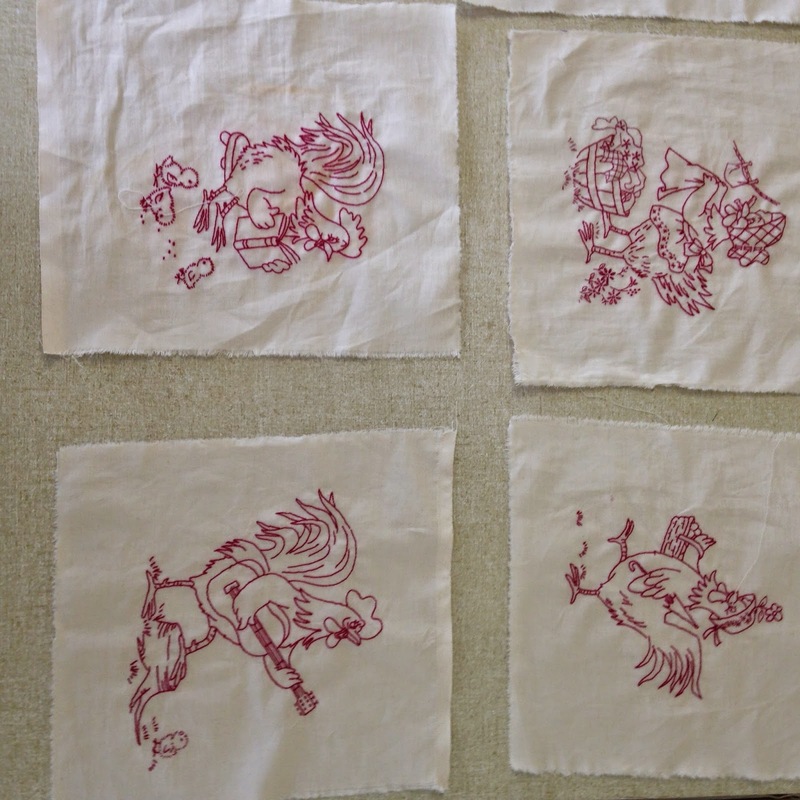 She says she had a pattern for some of them and some of them she drew herself. Millie shared a fabulous tip with us. She purchased this spice canister (available at some Walmarts, and restaurant supply stores). 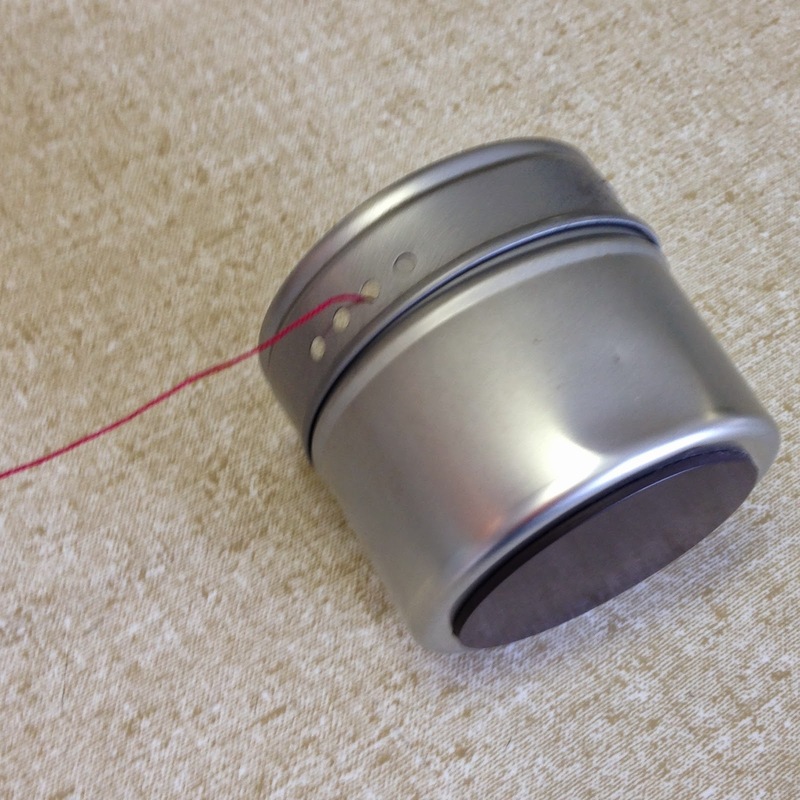 It is the perfect size to hold her skein of pearl cotton thread and you can thread the thread through one of the holes. 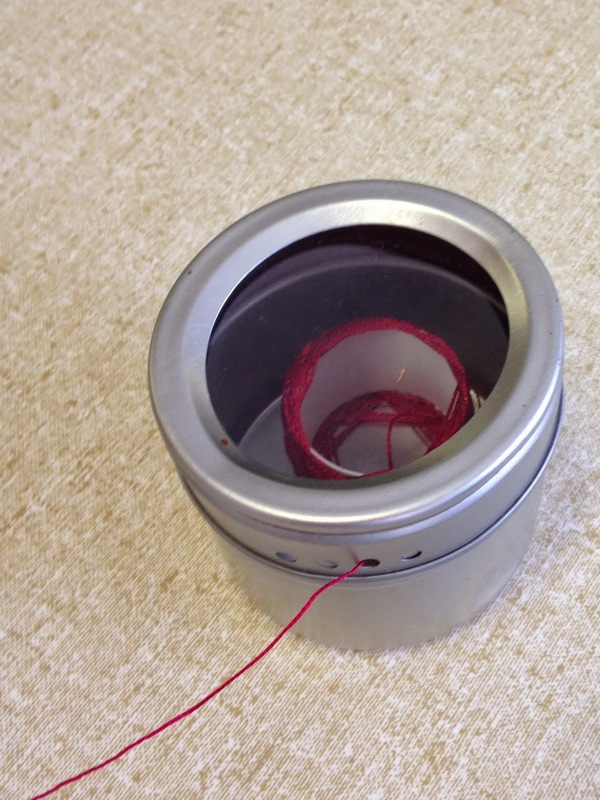 A double bonus is that there is a magnet on the bottom so you can keep your needle there. 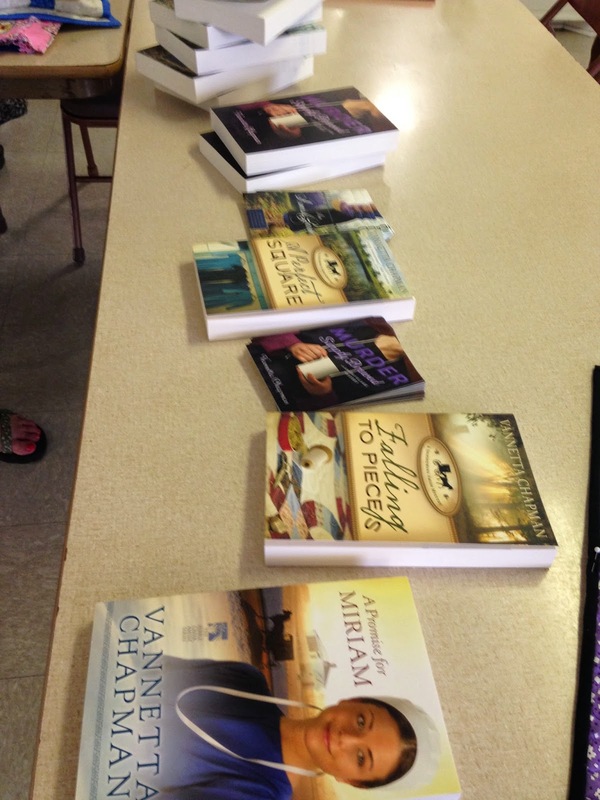 Our guest speaker today was Vannetta Chapman, Author of numerous books about Amish. 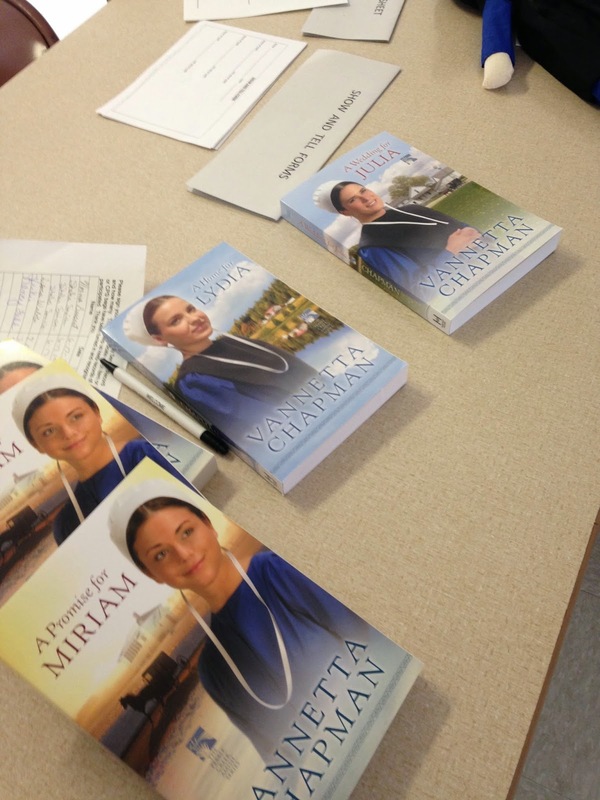 She spoke of her interesting journey to learn more about the Amish to write the books. It was very interesting. 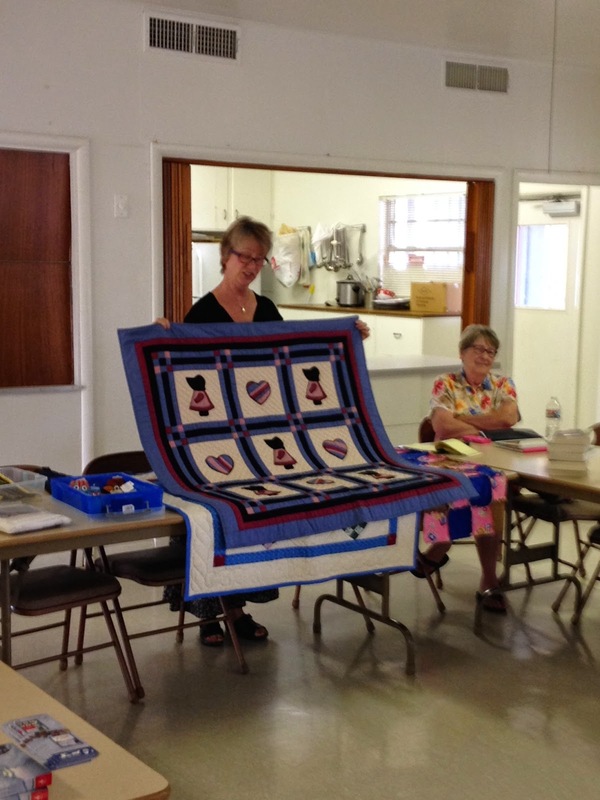 I think she said all of her books include some quilts and and quilting, which is an everyday way of life for them. She says she loves to write these books about the Amish. It reminds her of a simple, relaxed way of life that she would like to live by sometimes. I can't wait for next month's speaker and workshop. 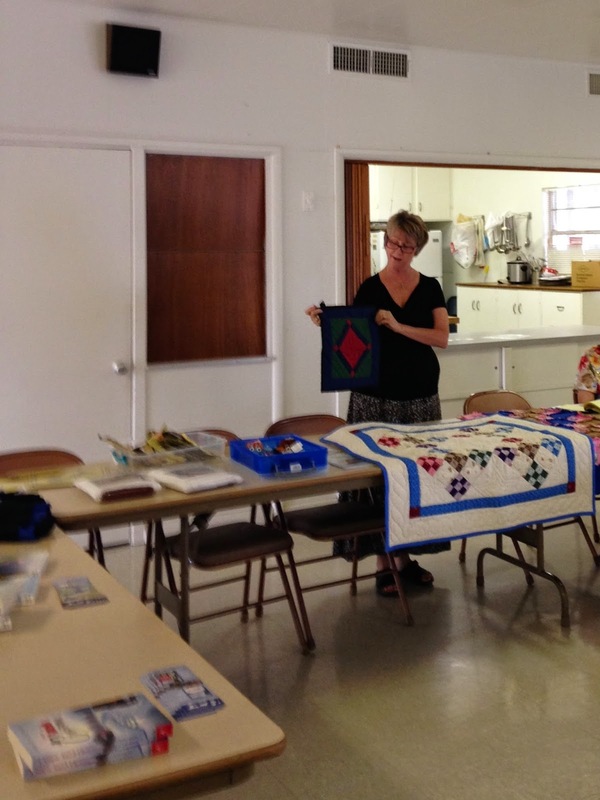 It is Suzi Parron, another author about Barn Quilts. 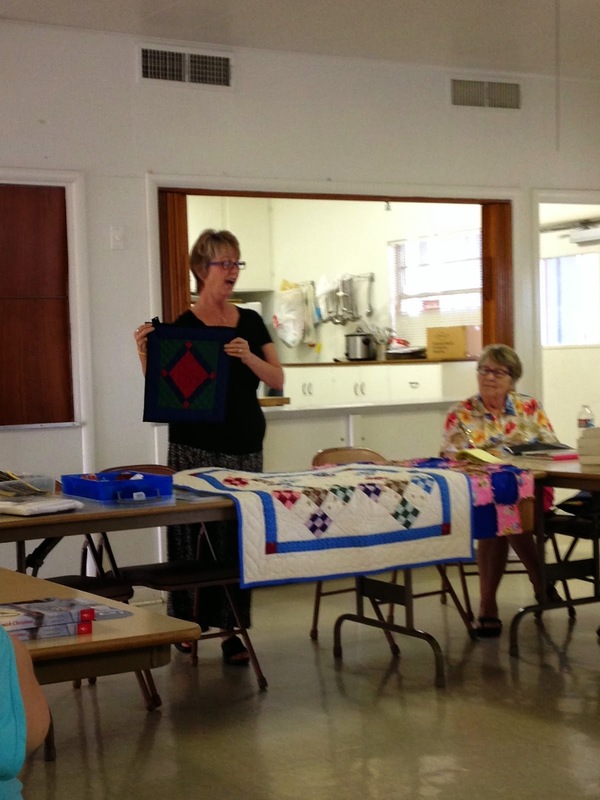 She is teaching a workshop in the afternoon and we will make a barn quilt block. How exciting!